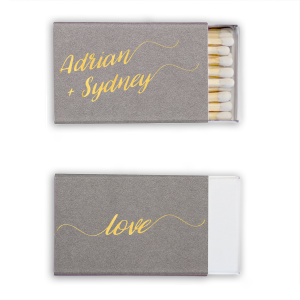 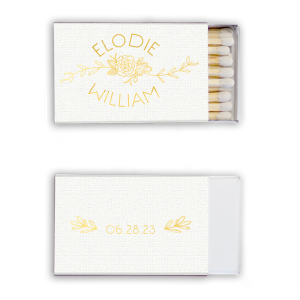 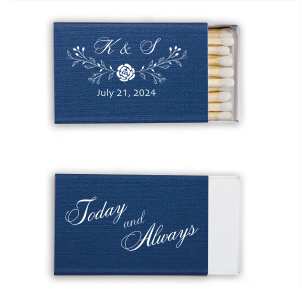 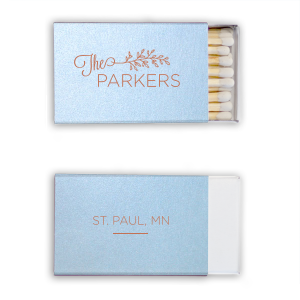 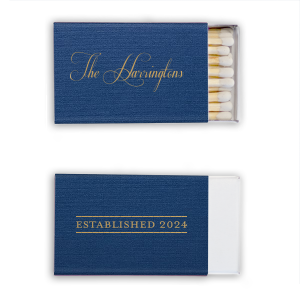 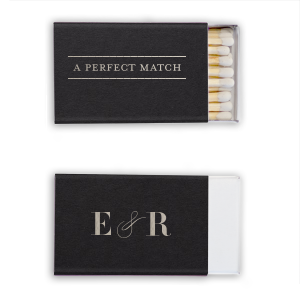 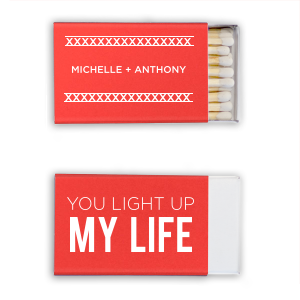 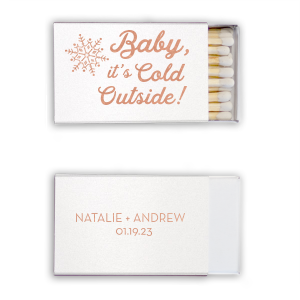 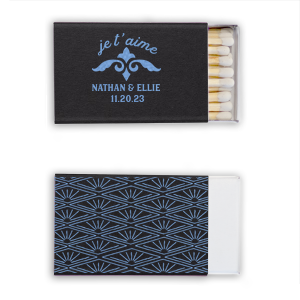 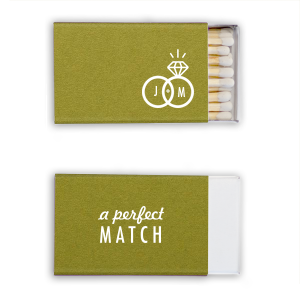 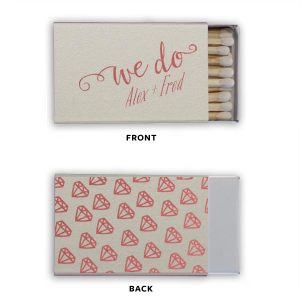 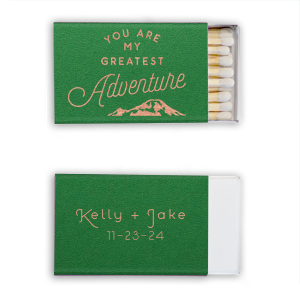 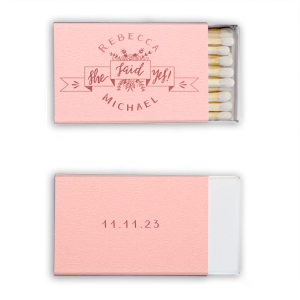 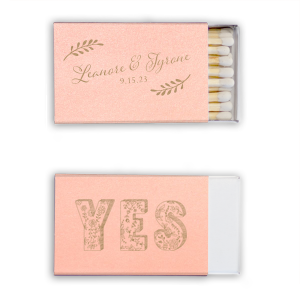 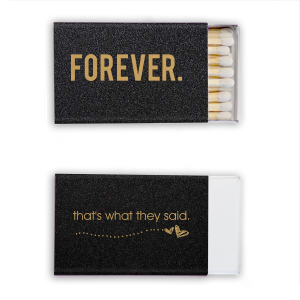 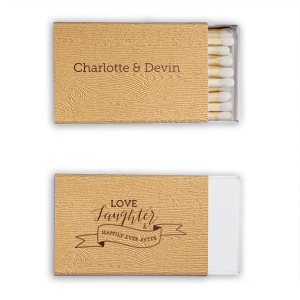 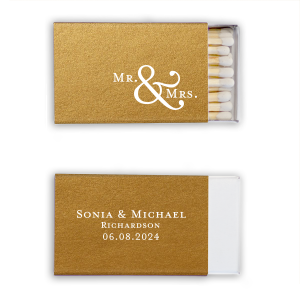 Custom matches make timeless wedding favors and beautiful personalized party favors at reunions, graduations, mitzvahs and more! 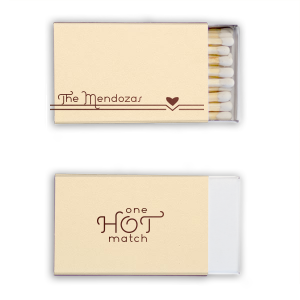 Your guests will think of you every time they strike a match. 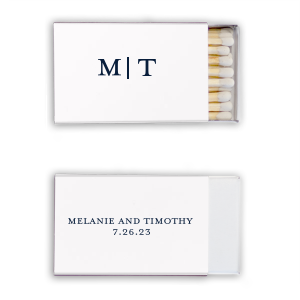 Personalize with your theme colors and pair your name or trendy saying with a fun graphic.